I can blink with them, so can you! 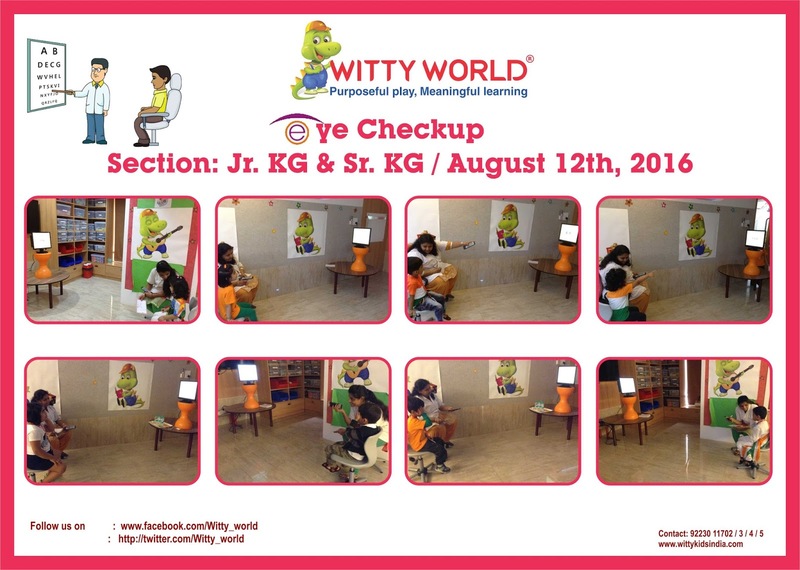 A visit from an eye doctor was on the cards for the Jr. and Sr. KG children of Witty World today. In addition to having their eyes checked , children also learned the importance of keeping their eyes healthy, and how to care for them. The friendly eye doctor also spoke to the children about the ill-effects of watching too much television, and sitting too close to the TV while viewing it. A big THANK YOU to Dr. Sarvaiya and team for this wonderfully informative Eye check up.